This article first appeared in The Edge Financial Daily, on November 17, 2015. 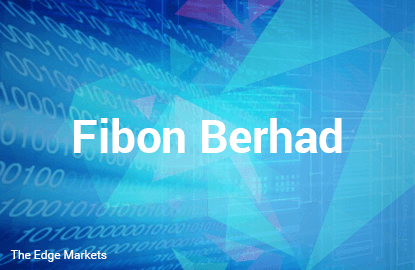 Shares of Fibon (Fundamental: 1.95/3, Valuation: 1.8/3) have been on an uptrend since October 29, rising by a cumulative 52.3% to close at 65.5 sen yesterday. The surge follows its 1QFYMay2016 results announcement on October 30. For 1QFY16, despite flattish revenue at RM3.6 million, net profit more than doubled to RM1.9 million, boosted by forex gains of RM1.3 million. Fibon is primarily involved in the manufacturing and trading of electrical insulators, electrical enclosures, switchboard equipment parts and meter boards. The company derived 72.8% of its revenue from export markets in FY2015, mainly to Singapore and Australia. 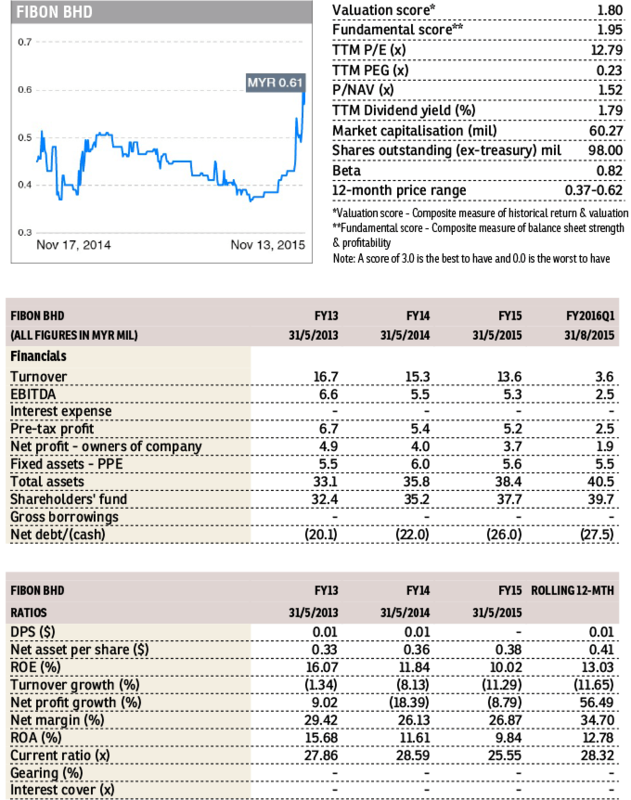 It had a debt-free balance sheet with cash of RM27.5 million at end-August, or 45.7% of its market capitalisation. Since FY2012, Fibon has maintained an average annual dividend payout ratio of about 26%, or slightly above 1 sen per share, translating into a yield of 1.6% at current price. The stock trades at a trailing 12-month P/E of 12.8 times and 1.5 times book.